Although our focus is Breast Cancer Survivors we are also committed to awareness, prevention and pushing for a CURE! Our content is motivational and educational to any casual reader, as it applies to a wide variety of life challenges. 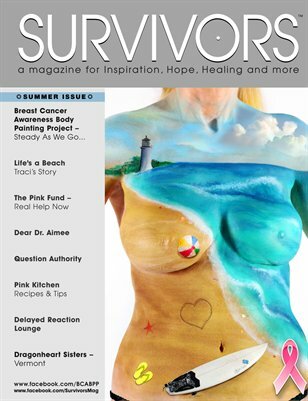 Our Premiere Issue is a complementary FREE digital download - we hope everyone will read and share it with every survivor they know. If you have the means and desire to help this grass roots effort please consider buying a copy for a chemo chair, oncology center or Dr's office near you - help us make a difference where it's needed most. 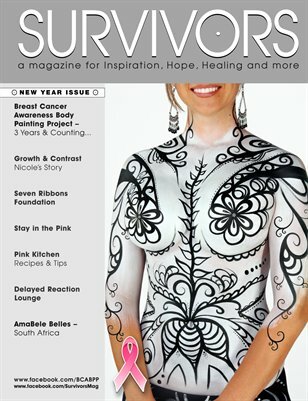 Collectable quarterly magazine with our eyes on moving towards a Bi-Monthly publication.